Kim Kardashian shared a recent snapshot of herself, Kanye and their children - North, Saint and Chicago West on social media. So adorable! Kate Middleton and Prince William have welcomed their third child together - a boy at 1001 GMT and weighed 8 lbs 7oz (3.8 kg). Kate gave birth at St. Mary’s Hospital in London today. The new baby boy becomes the fifth in line to the throne. According to a message from Kensington Palace's handle, "Her Royal Highness and her child are both doing well,"
The Duchess and Duke of Cambridge already have Prince George aged four and sister Princess Charlotte aged two. Businesses in the hospitality industry are designed to serve people whether it is food, drink, accommodation or a combination of these. Therefore the importance of high quality employee training and development should never be underestimated. Employees in every area of hospitality from kitchen staff to senior managers have an impact on customer experience and without the correct training, customer service can suffer which ultimately impacts organisational success. Although training can be expensive, the benefits often far outweigh the costs. Training that brings the best results will be carefully targeted to focus on the most important business areas. Hotels should be constantly striving to improve, whether it is greater efficiency in housekeeping or improved service delivery in the hotel restaurant. If for example you have noticed a rise in complaints from guests about the quality of service in a restaurant or guests have commented that they have to wait too long for their orders to be processed, training efforts should focus on these areas. HR should be actively involved in training and be willing to conduct a needs assessment to determine which areas need improvement. With training one size doesn’t fit all. It will need to be tailored to the requirements of staff and the demands of the business. Once you have rolled out a training strategy, you will know when it is working because complaints will begin to decrease and positive reviews and comments increase. 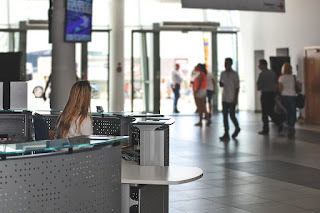 Once a new employee joins a hotel, training should begin as soon as possible after their start date and ideally, cover much more detail than simply standard operating procedures and hotel policy. Training should look at the specifics of their role. For example housekeeping staff should be educated on company policy in relation to how the standards of each room, while baristas should receive tailored training on serving coffee, food hygiene and customer service. Adequate training from the outset will set employees on the right path, teaching them good practice rather than employees starting work with their own ideas of how things should be done and even bringing with them bad habits because of incorrect working practices. Furthermore, well trained employees are more motivated towards their work and they are eager to exceed expectations. When it comes to new staff, they learn from existing employees, so standards will be established early on. Training and development is an ongoing process and shouldn’t stop once the induction period is over. In the hotel industry, guests are everything. If you don’t have guests then your business cannot thrive and employees are integral to customer satisfaction. Developing your staff is essential to maintain consistently high standards. Once you have established your reputation for delivering an exceptional guest experience, managers should work with HR departments to identify top performers and encourage them to undertake advanced training so they can continue to develop their skills. Investing in training for existing staff can bring about greater consistency within the hotel and also enhance the skills of the future workforce. Delivering ongoing training to staff will allow hotels to remain competitive. Hospitality is an industry that is fast paced and constantly evolving so hotels need to constantly adapt to changing customer demands. The best way to maintain a competitive advantage is through your employees ability to perform day to day tasks to a very high standard. Everything should be exemplary from ensuring that front of house staff respond to guests promptly through to maintaining high standards within the housekeeping department. Frequently revising the basics is important particularly in relation to customer service such as how to deal with customers in positive and challenging situations and ensure that guests enjoy their stay and leave with the intention of returning. Although the hospitality sector is seen as an industry that favours on the job experience and this is true to a certain extent, employees will always benefit from formal training tailored to their specific role. Staff performance is one of the main contributing factors to customer experience. Organisations within the hospitality industry often have a high level of staff turnover which means that HR departments are always busy looking for new staff. The process of recruitment can incur considerable costs due to advertising, resources which need to be invested into the interview process not to mention the costs associated with new staff training. All of these can take their toll on any business. There are many reasons why staff turnover is high in hospitality and employees decide to leave. Sometimes it is because of low job satisfaction while at other times it may be because of poor training opportunities. Employers have to work hard to maintain high levels of job satisfaction. This is achieved by providing staff with a supportive and positive working environment while equipping them with the skills they need to succeed in their work. Motivated staff are more likely to stay with a business for longer and deliver higher standards of service. HR departments and managers should take a proactive approach to staff training. It is an important part of the business and one that is worth the investment. Organise meetings between staff and management to develop in house training packages and work with staff to identify underperforming departments or procedures so training can be developed around these areas. HR departments could also consider establishing a partnership with third party training providers who can offer a range of courses to introduce a range of new skills into the business. Work with managers can also identify exceptional staff and create training that will bring all staff up to this level. Investing in training is important and effective training requires a collaborative approach between the HR department and managers to ensure that staff are motivated and they are consistently meeting and exceeding customer expectations. 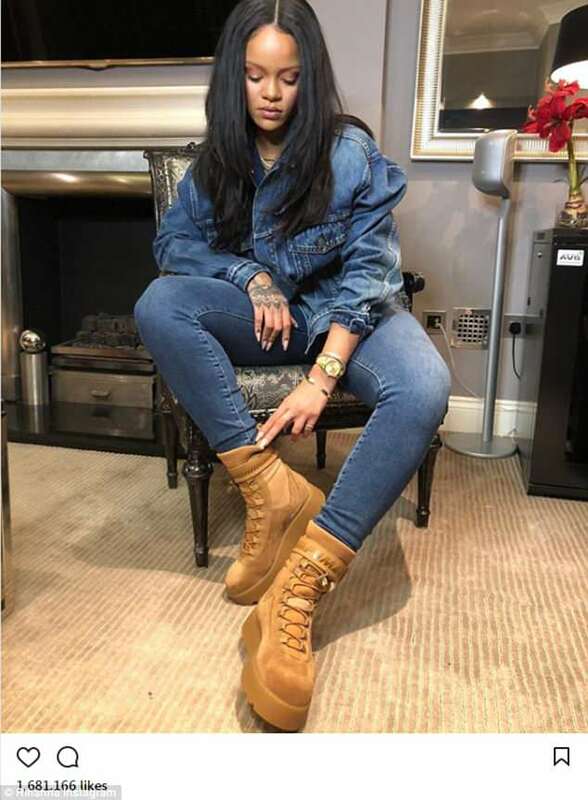 Rihanna shared an image of herself posing in denim over denim on Thursday. The star also flaunted new Fenty x Puma's Platform scuba boot from her Spring/Summer 2018 collections. Enjoying a strong mental health means understanding the meaning of happiness. In many ways, mental health is not different from physical health as we act to achieve a healthy mind. The important point is to take care of your mental health from childhood to mature age to avoid addiction, anxiety, depression, excessive stress, and many health conditions that affect the body. Being mindful is a crucial goal and a key to happiness throughout life. 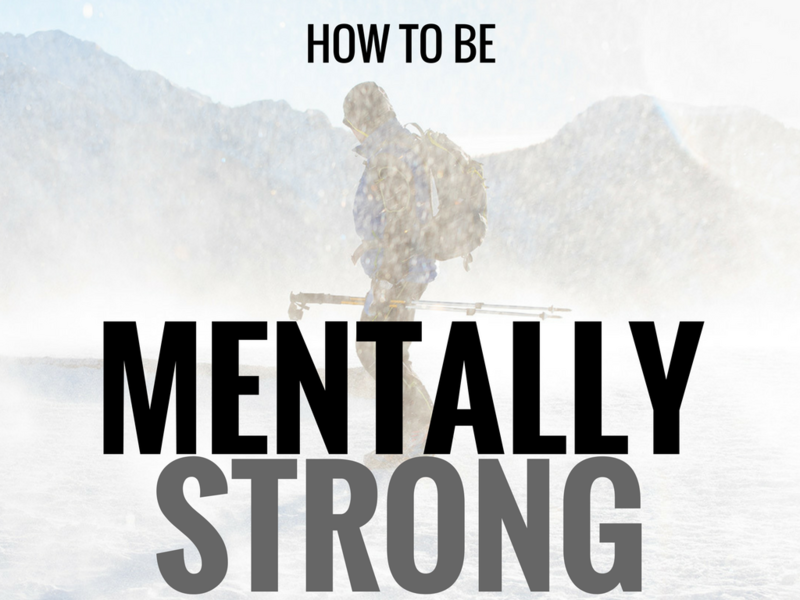 Hence, today’s article will introduce you several methods to be mentally strong in life. You have to need to know that your family and your friends always love you. Maybe they never express their love for you but they are the people who are always honest and care about you. Thus, when feeling miserable, depressed, lonely, and so on, why don’t you meet them and share your troubles. Emptiness will be filled by friends and family members. They do give you comfort and confidence. It is important that you know how to balance your life between work, joy, and family. Talking to your beloved and trusted friends is a good way to relieve stress, take care of your mind after work or other stressful issues. No matter how busy you are, you ought to spend one day a week staying with family and friends. As a result, your mind and body will appreciate that. Family and friends bring togetherness, closeness and a joyful party will help reduce feelings of loneliness and stress. You should spend the weekend doing the things you like. The main goal is to relax and enjoy the fun without feeling stressed. Hobby is a great excuse for you to rest in the busy life but actually, you still do it purposefully. Research shows that excitement when walking, playing with dogs, or cooking will release stress and pressure. As an active rest after work, hobbies also bring challenges to the brain and relieve stress. Besides, focusing on other activities except work will help the brain focus on new tasks more efficiently. Moreover, sticking to your favorite activity, which makes time travel so fast. As a result, you are not immersed in the past or worry about the future. Participating in activities you like is also proven to help lower blood pressure, cortisol, and obesity, at the same time, increase the level of positive social psychology. Thus, a hobby is completely good for mind, body, and soul. Talking with the ones who really have hobbies in common creates a sense of harmony and improves mental health. You can do some exercise or play sports like joining a fitness club, reading a book or playing cards or even an evening walk, which not only helps in physical and mental training but also helps you leave the house and find new sensation. Besides, you should nurture friendship with intelligent, educated and experienced people. This friendship brings you conversations on a wide variety of topics that help you realize new ideas, perspectives, and insights that are beneficial for mental training. You can look for that kind of friends in many places, such as the internet, newscasts, or through your friends and family. For sure, taking to the people who have the same interests as yours is much easier and more sincere. Sometimes, those friends can understand you more than your family members and your old friends. Therefore, let’s do your favorite things and make friends. Participating in volunteer activities proves to increase one's happiness, self-confidence, and self-esteem. Volunteering not only brings benefits to the community but also giving you the feeling of being connected and accomplishing something as well as helping you see the positive side of your life. Volunteering is not necessarily something big. You can assist older neighbors in buying groceries, snowmaking in winter, helping a single mother, or planting trees in public gardens to improve health for everyone. Biologically, the adverse effect of making social connections through volunteering is to release oxytocin hormone, thereby, helping relax, relieve, and stabilize the mind. Exercise is not only good for the body but also good for mental health. Many studies on increasing self-esteem, concentration and appearance are related to exercise. Exercise improves sleep, energy levels and social ability, instantly minimizes stress, anxiety and mental fatigue. There are various ways to do exercise. You do not have to register at the expensive gym or maintain workouts there. Instead, you can take a stroll around the park, swim in the sea or lake, or relax in the living room. The key point of the exercise is moderation. Doctors recommend that exercising 30 minutes a day, 5 days a week is a proper method to remain healthy body and mind. Thus, you should choose activities that fit your daily schedule and make it a habit. If you need friends to get more motivation, you can invite colleagues, friends or family members to join. Only when your body is healthy, your mind is strong. Eating healthy is important for strong mental health. If you do not eat healthily, mental health will be affected. Recent research indicates that the food you eat will partially determine whether you are prone to mental health problems. Therefore, you should take care of the food you consume daily. Firstly, you need to eat three full meals a day to control your blood sugar. Quitting meals, especially breakfast, will make you hungry, irritable and tired throughout the day. As a result, you won't have sufficient energy for working or studying, which also leads to mental tiredness. Thus, no matter how much you are busy, let’s try to have a light meal in the morning. Besides, you should focus on reducing refined foods like sugar and boosting eating grains, fruits and vegetables. Sugar provides energy but makes you fatigued and irritated, while the sugar in the fruit contains sugar at lower levels, thereby helping the mood stabilized. Additionally, you should eat the food that is rich in protein since it contains many tryptophan amino acids that help relieve anxiety and stress, regulate behavior, and improve sleep. Another eating habit that has the effect on the mental strength is to ensure that the brain is fully supplied with tryptophan. That can be done by eating a lot of meat, fish, eggs, cheese, and nuts in the meal. In particular, omega-3 and omega-6 fatty acids that are found in fish oils also play an important role in the brain's normal function and development and help prevent heart attacks, stroke, and cancer. One more key point in a healthy eating habit is drinking plenty of water to provide enough water for the body and avoid dehydration. In fact, dehydration can lead to fatigue, loss of concentration, reduced mental strength. This is also a side effect when drinking alcohol. Therefore, you should set a varied and exciting menu to ensure the full supply of essential vitamins, minerals, and nutrients for your body and mind to work at high levels. In addition, you should maintain appropriate weight to control mood and confidence, simultaneously, avoid using narcotic drugs. A delicious meal is sure to bring you joy and happiness. Sleeping 8 hours a day is extremely helpful for resetting the mind and body to prepare for the next day. Not getting enough sleep will affect mental health, in particular, reduce concentration and be prone to lose control. As a result, your physical body becomes exhausted meanwhile the effectiveness and efficiency of working, studying and even playing will reduce. If not getting enough sleep prolongs, you may face some serious diseases not only mental issues. Thus, you should try to sleep about 8 hours per day, go to bed and wake up evenly every day. In the case you do not get enough sleep, you can spend 5-10 minutes relaxing your brain by listening to music or meditating. If you are sensitive to minor annoyances or sarcasm that everyone faces every day, you are wasting too much effort and time on things that are not important at all. Focusing on trivial things, paying attention to them or considering them as big distractions, you are not only increasing your pressure but also rising your risk to your life. Thus, learning how to adjust your attitude to calm down with the everyday stresses will help you control your stress hormone (cortisol), thereby protecting you from risks like immune deficiency, hypertension blood pressure and fat, or risk of heart disease. Instead of getting stressed, you should make a healthy habit by thinking about what makes you depressed, then calm, and decide on the most healthy and effective way to deal with them. For example, if your husband often forgets to cover the toothpaste lid, remember that it may not matter to him as important to you. You can choose how to handle the situation - manually close the toothpaste tube and think about what your husband has done for your family, or stick a cute memo on the wall to remind him gently. Additionally, you also need to consider the perfectionism since it can cause you to set too high or unrealistic expectation for yourself as well as your daily life with forgetting that there are some influential factors not in your control. Let’s try an imaginative lesson to get rid of all the tricks that are bothering you. Keep a small stone in your hand and imagine it is covering everything that is bothering you. Focus on the negative and squeeze the stone in your hand. Then, when you are ready, throw the stone away. Throw it into the lake or throw it away to the ground. When doing that, imagine you are also throwing away all your negative emotions with the stone. This lesson sounds funny, but let’s try it, you can found a way to release your stress, anger and anxiety. Stress is inevitable in life. To deal with it for the purpose of keeping the spirit healthy, understanding the cause of stress is really important. Balanced life is the most direct way to cope with stress. If you are experiencing depression from stress, you should attend a yoga class or practice breathing. Yoga is a way to experience the true nature: thinking as well as feeling and is also a way of interacting with stressful environments. In short, it will change the quality of your life. Even though your life is extremely busy, you should spend a little time taking a break several times a day, stop working and deeply breathe to help you clarify your thoughts, calm yourself and work more effectively. Make sure that you find a quiet place to concentrate on breathing so that air flows throughout your body. Being strong, or resilient in emotion or spirit is a good adaptation to stress, injury, and disaster. This resilience is not innate - it is a process that everyone can absorb, and can be found in ordinary people around us. Emotional strength does not mean that you do not have to experience pain or sufferings. The resilience is usually the result when one must face with extremely difficult situations. It means that you will learn to rise and rebuild everything after these experiences. To strengthen your resilience, you ought to focus on specific skills, such as: planning and implementing it, developing confidence and positive perspectives on yourself, learning how to refraining from intense emotions and prompting, communicating, and resolving issues effectively. Writing diary helps you understand what is pushing you in trouble, and also a good way to relieve stress. In the hustling life, you may forget some of your experiences happened in the past, so when facing them again, they are still new to you and more improved solutions are impossible. With a diary, when you look back on it, your recall comes to you and help you understand your emotions or feelings better or even enable you to find ways to control your feelings, encourage your spirit and deal with problems. To start writing a diary, you pick a comfortable seat and plan to spend about 20 minutes each day writing. You can start by writing about your feelings or thoughts by using some suggestions like: "I feel exhausted when ...", "The biggest challenge for me is ...", "If I could talk to myself at a young age, I would say ...", "When I feel sad, the best thing I can do for myself or tell myself is ..." In the way, a diary will become your best friend or your consultant. You will become stronger and wiser when you accumulate more knowledge. Let’s challenge yourself by constantly learning and not let yourself be constrained either in the mental or emotional framework. Let’s be curious, always aware and knowledgeable about the world. There are a variety ways for you to enrich yourself such as reading books, watching great movies, plays, ballet, enjoying art in many forms, creating your own arts like writing, drawing, music, engraving, knitting - whatever stimulates your creative side. You can learn new skills like trying being a chef, doing some homemade projects, gardening, or learning how to fish and chatting with people. Therefore, enriching yourself is a great way to strengthen your mentality. If you tend to drown in your own problems, let’s find ways to have a different perspective on life. Everyone will face the deadlock at one time or another, but those with emotional and mental power will find another way to reach their destination. Thus, never give up something when you are at standstill since sometimes, the hardest problems have the easiest solutions. The key point is how you acknowledge them. There are a broad range of methods assisting you in changing your perspective. Firstly, you should read more. Reading news or fiction will open the door for you to enter others’ world, which will remind you that the world is so vast and your problems are just drops of water in the ocean. Secondly, let’s take part in volunteer activities or interact with people who need your help. Some studies have shown that volunteering offers a lot of benefits to your mental and physical health. Next, listening to a friend and people around you is a great way to broaden your horizons. Let’s spend some time listening to them who needs advice from you and putting yourself in that person's place, then giving the best and sincere advice. Last but not least, let’s travel a lot. Getting out of your own safety bubble will give you a right perspective on your situation. Get to some places new, even just a few towns. Experiencing in various areas helps you understand more widely and accumulate for yourself with new knowledge, emotions, and feelings to nourish strong mentality. After encountering a difficult situation, let’s consider what happened, how you handled it, and what the outcome was. Are you proud of your behavior? Do you want to do others if having another chance? You should try to absorb as much as possible from your own experiences. Wisdom will come to you through this practice. Instead of trying to get rid of them, you should analyze the events that happened, which will help you know what you should do when faced with the challenge next time. Besides, you should always talk to yourself that it will be okay if things do not end as you intended, remind yourself that things are not always going well, and you do not always get exactly what you want. This is true of everyone, no matter how great their life seems to be. Therefore, you do not have to overthink about it since this does nothing but weaken your mind and your determination. If you are joking with your mental health by drinking alcohol, drugs, theft, cheating or similar behaviors, you are losing your own power to become stronger in emotion and mentality. So, let’s start getting rid of the bad habits of your life, or at least restrict them from controlling your behavior and emotions. If you're addicted to something, you should get help from someone else. Without help, you will have difficulty in understanding why you are struggling, as well as determining the best way to deal with your emotions. An expert in psychological health can help you understand your emotions and face them. You should remember that the weakness in feelings and mentality may be a manifestation of a psychological problem that needs treatment. So, let’s talk to a therapist who can help you understand what is happening and make the right decision. Life will be happier and worthy of appreciating if you are always strong in mentality. Therefore, never let mental weakness hinder your life. You should remember that every problem has its solution, the importance is that you try to find it or not. The first rule for the achievement is maintaining mental strength. So, let’s bear in mind the tips shared above.